TULSA — With about 20 veterans dying by suicide every day, groups are getting creative to decrease that number. Kevin Doncaster, a Bartlesville veteran, said, “I’m depressed all the time. I have absolutely no energy. I’m not mentally available for my family . . . I felt like I was no good to my family or anybody else.” When Doncaster came back from the war in Iraq, he found himself in another war – one with depression. On the verge of suicide, he got rid of all medication, but the anxiety and thoughts of suicide were still there. Then, he met Lacey, his new service dog. He says she was a game changer that possibly saved his life. 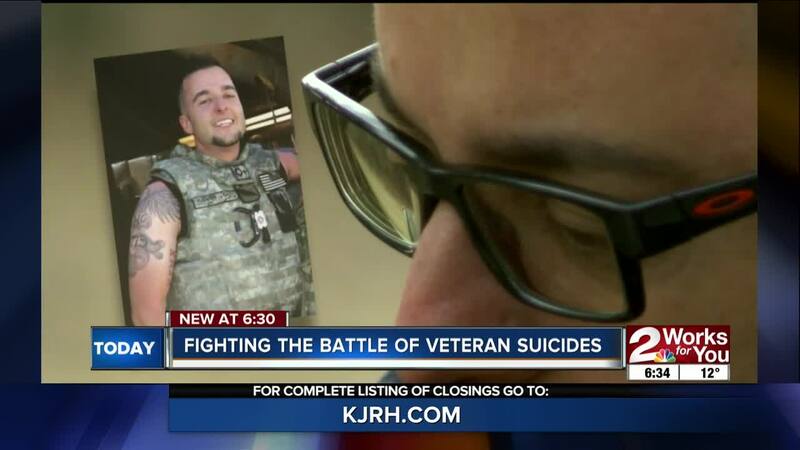 It’s an effort to hopefully help curb veteran suicide or the thought of suicide. It’s a battle many who served our country face. Hillhouse says that of the roughly 20 veterans who die by suicide daily, 14 are not receiving services from the VA. Of the six who are getting VA services, only three are engaging in mental health services. Click here to support Kevin Doncaster’s mission to give service dogs to veterans.